Have you ever heard of Hobart? 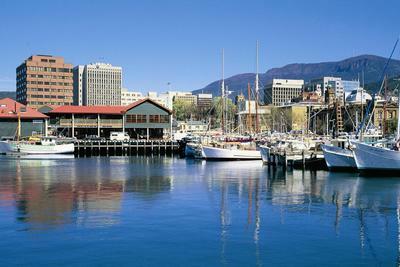 If you haven’t yet, we are here to tell you why you must visit the capital of Tasmania, Australia. While planning your road trip in a campervan hire Australia, don’t forget to include this city on your trip and we’ll tell you why. Tasmania is an attractive state to visit in itself with several beautiful parks and attractions, but Hobart is a city that you don’t want to miss out on visiting during your time there. Hobart is beautiful. It has beautiful mountains that you can hike up or simply observe, gorgeous waterways, and of course, a rich culture and history. As one of the oldest cities in Australia, it is no wonder that many visitors like to visit the Tasmanian Museum and Art Gallery to learn more about the aboriginal people and the beginning of the city. Bruny Island-On your way, you will be able to observe whales and other marine life and once there, you will be able to observe even more wildlife. It is truly a rewarding experience that will be worth the boat ride and will reward you with incredible views and an amazing wildlife experience. Mount Wellington-A great way to spend a day in the area is to go hiking up Mount Wellington where you will be rewarded with incredible views after your efforts. 1. A visit to Port Arthur, an old prison for convicts that is now a museum that combines beautifully with the wild nature surrounding it. With such a rich history and amazing architecture, Port Arthur is more than just an old prison. It is a fascinating remainder of a long-ago era. 2. Salamanca Arts Centre is a fascinating location all on its own, with or without a visit to the art galleries. It’s an ideal destination for a pleasant stroll with stops at bars and restaurants along the way. Salamanca has beautiful architecture and is also very popular for workshops, arts and crafts, and a variety of artistic presentations. It is definitely an ideal spot for an afternoon of exploring. While any time is a good time to visit Hobart, we suggest a visit in the months of December to January, when you will be able to enjoy the pleasant weather outdoors and attend several events that take place during this season. It’s typically the most comfortable time of the year in the area which means that you will be happy spending your days outdoors which is the best way to enjoy all that Hobart has to offer. From the incredible nature that is present in Tasmania to the plethora of festivals and events, December to January is when you can get the most out of your visit to Hobart.